YouTube/ScreenshotA view of the new campus. 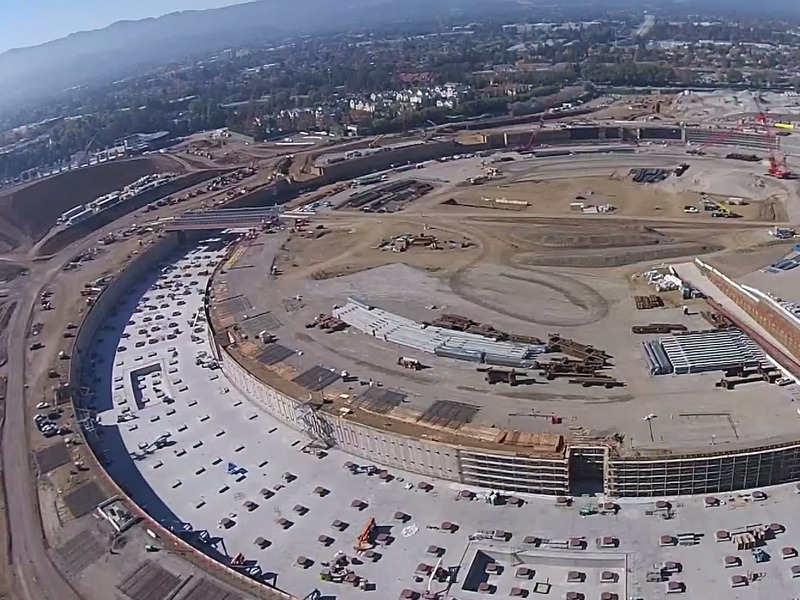 A new YouTube video shows the scale of Apple’s new “Spaceship” campus in Cupertino. The last glimpse we had of the campus was in October, when Apple Insider published footage of a full-scale prototype of a section of the building Apple had constructed in a lot nearby. In this video, it appears some structural construction has begun. 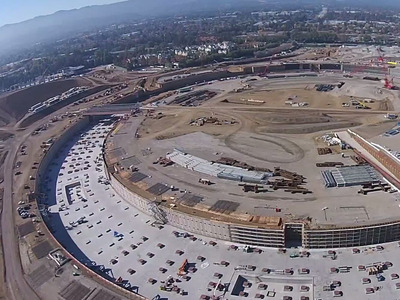 When it’s completed, which should be some time in 2016, the vast campus will be home to 12,000 Apple employees. Apple’s doughnut-shaped spaceship campus, officially called “Apple Campus 2,” will be a big, circular building with an underground parking lot and curved glass panels. It’s being designed by Norman Foster’s firm, Foster + Partners.